Billy Goat and his best friend Cyril are messing about with the farmer's mobile phone, taking selfies and playing games... until they discover the number for a troll. Grandpa Gruff says all trolls are bad, so Billy and Cyril decide to get their own back by sending mean messages. ... read full description below. Billy Goat and his best friend Cyril are messing about with the farmer's mobile phone, taking selfies and playing games... until they discover the number for a troll. Grandpa Gruff says all trolls are bad, so Billy and Cyril decide to get their own back by sending mean messages. 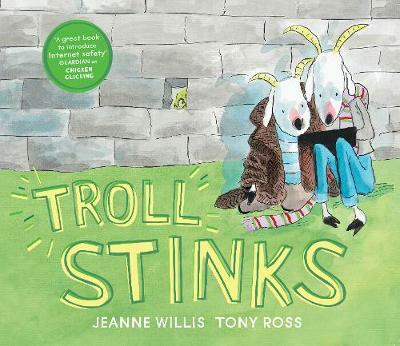 After all, trolls really do stink! Don't they?